Established in 1989, Kelab Golf Perkhidmatan Awam (KGPA) is a 27-Hole golf course located in the up-and-coming Putrajaya area of Kuala Lumpur. 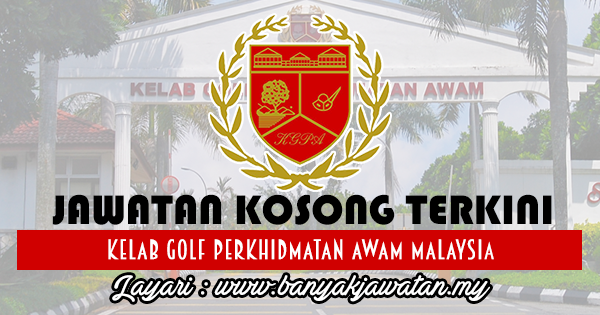 Kelab Golf Perkhidmatan Awam has been voted the most difficult golf course in Malaysia. However, KGPA is still a playable for all levels of golfers. The championship course (Hills and Lakes) is a classic par-72 golf course measuring 6,887 meters from the tips. KGPA offers a lot of features. From the rolling fairways to the elevated greens and tees, each hole is a unique golfing experience. 0 Response to "Jawatan Kosong di Kelab Golf Perkhidmatan Awam Malaysia - 18 October 2017"